In Part I of this post, I introduce the web-based application Present.me as a potential tool for you and your students to create video presentations, tutorials, and lessons. 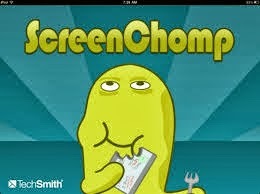 Two additional tools my students and I enjoy are ScreenChomp and Screen-cast-omatic. ScreenChomp (available in iTunes) is-in essence- a white board that you can record. Teachers utilize ScreenChomp to record their drawings, diagrams, or text on a whiteboard or customizable background with audio explanation and guidance. You can pause the video, insert photos and PDFs, change the background, erase, and then publish as a link or save to your account to share with students. Want to be really efficient with your time? Connect your iPad to a project with AirPlay mirroring through an Apple TV or a VGA adapter so you can record the demonstration or lesson while you are teaching face-to-face. Then, post the link of the ScreenChomp for students to review. Check out the developer Tech Smith’s website for an overview of features. Demonstrate a process with a “think-aloud” like solving a math problem or conjugating a certain type of verb in a language class. Respond to a picture or prompt by annotating and talking about their responses. Crate a video lesson for their classmates on a focused topic or skill like mitosis vs. meiosis or allusions in literature. 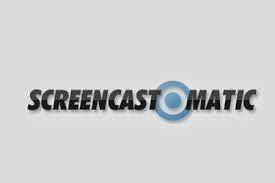 Screen-cast-o-matic is a free web-based tool you can use to screen capture your desktop on a PC or Mac. Click on the screen recorder button on the website and a dotted-line box appears that you can re-size to create a record window on your screen. This is my go-to tool to create quick tutorials for technology topics ranging from citing sources in databases to creating a Google Doc. The free version does limit the recording time, but in general tutorials are under five minutes, so I haven’t had a problem there. There are numerous screen recording apps available. A trip over to the Chrome Store in your browser and simple search for “screen recorder” yields many extensions and apps. What tools do you find invaluable for you and your students as you make and share new knowledge in your class? This entry was posted in apps, flipped, tech tuesday. Thinking about “flipping” your classroom? Looking for tools your students can use to demonstrate their learning? I’ve become a fan of three simple (and free) apps that you and your students can easily use to record and share tutorials, lessons, and demonstrations. For those of you who miss the face-to-face quality of in-class tutorials and instruction, this website might be just what you are looking for to create and share tutorials or presentations with your students while maintaining that human and personal aspect. 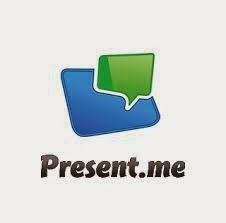 Present.me allows you to create presentations with slides and video, slides and audio, or just video. Upload your existing presentations, PDFs, or pictures and then record a video where you explain or teach in a split screen. Feeling a little camera shy? It’s just as easy to record audio alongside the slides as video. Check out the fractured fairy tale book talk for my example and Present.me’s own list of simple tutorials. The free version allows you to upload content and record video, audio, or video-only. You cannot download the video and save as a file with the free account, but you can embed the video in a web page or share through social media sites and the direct link. Write your content first if starting from scratch–If you have an existing lesson or PPT, then it should be relatively quick to create your own explanation or to record the lesson you are accustomed to. If starting from scratch, I definitely recommend writing a script, first. The better Present.Me videos do have more of an “off-the-cuff” feeling. I wasn’t quite there with my first attempt, so I split my screen and had a script up that I read from while clicking through the slides. Practice your timing before you record–I think I took something like 8 recordings before I got to the final version. Many of the deleted versions were due to clumsy fingers. When you record video or audio alongside slides, you have to click to advance the slides while you record…takes a couple of practice rounds to get used to, but then it’s a synch. If you video, use a high(er) quality camera–I went with the built-in camera on my iMac, but will try using my webcam next time. I wasn’t too happy with how pixelated the video came out, and there was a slight delay in motion with the audio. But, that’s a nit-picky thing. “Me-Presentation”–this platform lends itself well to a little bio about yourself or even an alternative to the paper resume. Explanatory/ Process–Students could create a presentation aimed at explaining a process or concept that utilizes examples or diagrams. Digital Storytelling–What if students narrated their own stories alongside a visual storytelling technique? We’ve been using MovieMaker, iMovie, and Animoto for digital storytelling, but those tools eliminate a lot of the power of students’ own voices when telling the story. Why not allow them to tell the story alongside the story for a dynamic narrative experience? *Anytime students record themselves and publish to the web it’s important to be mindful of privacy laws and policies for your district. In general, never post a video of a student to the web without written parent consent, and do not include any identifying information such as name and location. A safe alternative could be to have students email you links to the video or publishing to a closed group like in Edmodo or a similar online classroom platform that is protected. As we continue to make the evolution from Web 2.0 to Web 3.0, I am astounded by the number of excellent creativity tools available for learners. Web 2.0, which ushered the era of content-creation, social media, and production (Google, YouTube, etc.) , following the dot-com crash in 2001, brought with it tremendous tools for learning. Now we’re beginning to see the impact Web 3.0, which empowers users to re-create, mix, transform, and produce new forms of information (Mozilla, Tagxedo, etc.). A Thinglink is a visual representation of a topic that embeds pictures, graphics, sound, text, and links. A creator chooses an image as the background and then can link in web content, providing a digitally engaging and unique experience. It’s quick and easy to register and create an account with the opportunity to link your Facebook or Twitter account for set up. Then, you begin by importing a picture from your hardrive, choosing from your Facebook albums, browsing Flickr’s public photo gallery, or providing a web address for photo. You are able to share your creation through Google+, Edmodo, Facebook, Twitter, and many other social platforms or by the link, like here (Thinglink for the book Code Name Verity by Elizabeth Wein). Thinglink is also available as a gadget for blog services. Check out the gadget on my blog on the upper-left hand corner! This entry was posted in tech tuesday, web 2.0. Inviting students into the research process is sticky, I know. Most of the time we shy away from research, dreading that inevitable paper to grade. But, what if we approached research with our students from a different stance? What if– instead of the monster once-a-year Research Project–we considered an embedded approach? When we invite students to adopt an inquiry stance in our classroom, research becomes a part of our daily dialogue. Asking questions, searching for information, browsing, collecting, evaluating, publishing–these are all processes in the inquiry classroom that work on varying scales. Our students are bombarded with information 24/7/365. They forget (never learned) how to be curious and critical consumers. An inquiry stance to learning taps into our natural curiosities, building upon content area knowledge in relevant and authentic ways. 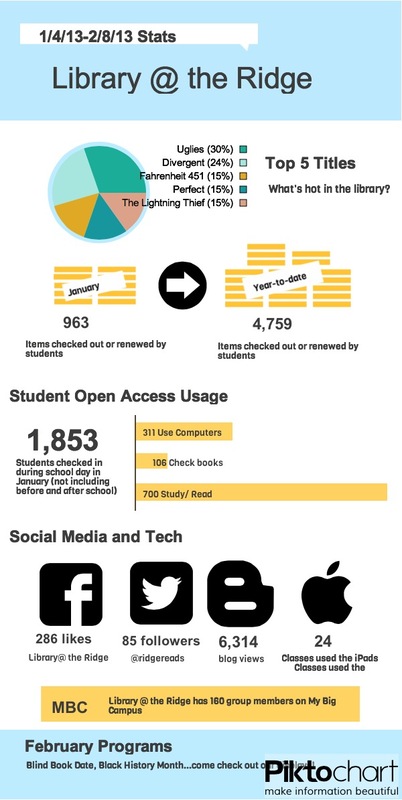 A simple infographic (informational graphic) might make more of a lasting impression upon a student and his learning experience than a five page research paper or report. How is it done? Invite students to collect and categorize data for authentic purposes. In science, what if a lab experiment resulted in a graphic representation of the reactions, observations, and data students collected? In English, invite students to identify a problem in their community, create a survey, and then publish their findings through a dynamic, visual platform. Math lends itself particularly well to integrating infographics through embedded bar graphs, line graphs, pie charts, and percentages. Pose a problem for students to consider, asking them to transfer their findings into a digital display, or invite them to be problem-posers. Free Infographic tools such as Piktochart provide templates and tools for students to synthesize information and publish it digitally. Not only are they collecting and consuming information, but they must synthesize what it means in order to create a visually dynamic representation. This entry was posted in information technology, tech tuesday, web 2.0. Today in a session with Project Tomorrow’s CEO, Julie Evans, we were treated with a sneak peak at some of the data trends from the last Speak Up survey administered this past December (2012). Now, data and I have had a rocky, tumultuous relationship. In my early teaching years, data and I weren’t too familiar with one another–passing ships in the night. As a graduate student, I started to flirt with data a little bit once I caught a glimpse of what he could do for me and some of the practices I was researching in my classroom. But, we hit a major roadblock in our relationship the year that data was wielded like a thick, leather belt, snapping and cracking down the hallway, forcing data-driven instruction down our throats, angrily pushing us towards practices that did not align with our beliefs and better intuition. Data and I broke up that year, and I admit I talked trash about data behind his back. There was no magic moment when data came back into my life and the past was erased. It took a lot of coaching and mentoring from leaders, friends, and mentors who had healthy, constructive relationships with data. Today, we’re cohabitants of the same house, focused on the improvement of learning for everyone on our campus; we relate easily, flexibly, and without judgment. So, today when Julie announced she was giving us a preview of the yet-to-be released data, my nerdy heart skipped a beat. Our campus participated in the Speak Up survey–a difficult task in a campus of 2200 students. Individual campus and district results will be made available tomorrow, 2/6. I appreciate having the national trends to compare our local results to and anticipate that we’ll fall in line with those trends. 1) Students want devices that allow them to personalize the educational process, the same way that they personalize their social media and web presence. They want devices that help them be more productive and allow them to CREATE and ADAPT. 2) We’re at a BYOD/BYOT tipping point. The stage is set for integrating personal devices into learning. Administration has turned a corner with its willingness to allow personal devices, teachers are curious, and students are willing and able. How can we take advantage of the growing momentum and be thoughtful, reflective and strategic in our visions and action plans? 3) The “true” digital natives haven’t even arrived yet on our high school campuses. According to the findings of Speak Up’s yearly survey assessing the rolling of technology in learning, a shift has occurred in the readiness, access, and skills our 9-12th graders bring to the digital table and their middle school counterparts. They are coming to us very soon; how will we prepare for tomorrow’s learners? Wow! I’m excited. I’m ready. I’m curious. This entry was posted in blended learning, byod, tech tuesday. 1) One person does all the work. The high-achiever of the group grins and bears it as they carry the weight of the project. 2) No one does the work. If the dynamics of the group fail to include the driven personality, then chances are, nothing gets done. The night before our deadline, our go-getter sent a call out through Twitter and text to get our attention that basically said, “hey, this thing is due tomorrow! 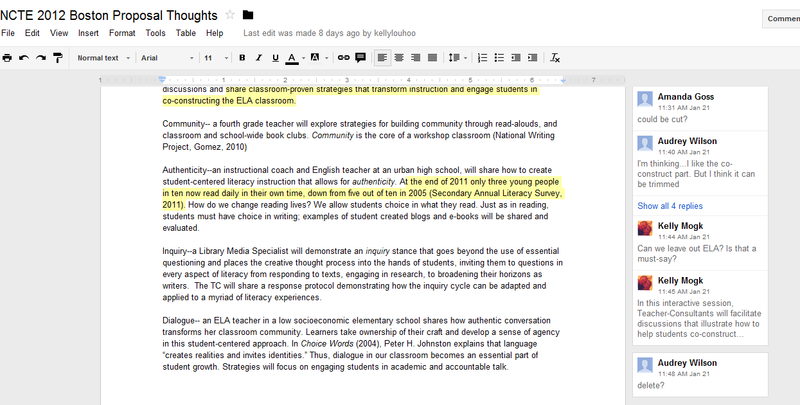 Get your butts on Google Drive before 10:00 am or it’s not happening!” And so we took our brains, individually, to the document created by our group leader and started to draft, revise, and comment, which was cool by itself. The magic, however, occurred when we were all in the document, working at the same time, our multi-colored cursors moving around the document, communicating through the chat feature about what we were doing and should we do this or that, adding comments and resolving comments until finally, with two minute to spare, we had a proposal submitted to NCTE. From the other side of our various devices and locations strewn across the metroplex, we all shared a collective sigh and appreciation for the power of collaborative writing and tools such as Google Drive that breathe life and spirit in to the writing process. 1) It’s free. Doesn’t get any better than that. 2) Google Drive operates through cloud computing, which means that you can create, store, and share your documents through the web. No more wondering where you left that flash drive or stressing out over loosing a document on your laptop after an unexpected re-imaging. For our students, this means that they can work on documents anywhere they have web-access. 3) Google Drive hosts a miniature Office Suite line-up of products including Documents (Word), Spreadsheet (Excel), Presentation (PowerPoint) plus a whole host of apps available through Google Chrome web store that can be downloaded and added to your Drive. 4) When you create a document in Google Drive you can choose to share it with collaborators, allowing them access to edit, view, or share the document. You can make your document private, public (open to the web), or public through the link. Some of my friends have 200 students this year. We know that powerful writing instruction relies upon students writing, talking about their writing, and receiving feedback. The teacher, alone, cannot be responsible for continually providing feedback on student’s writing with a 1:200 ratio. Peer response is a powerful tool for a young writer, but teachers cannot provide the type of quality feedback and evaluation on 200 essays more than a few times throughout the semester (if even that much). Can we still have the same learning goals for students and their writing if they are participating in a collaborative essay or project that we would an individual assignment? YES! Do we address more learning goals by having them use technology to work collaboratively on a writing task? YES! 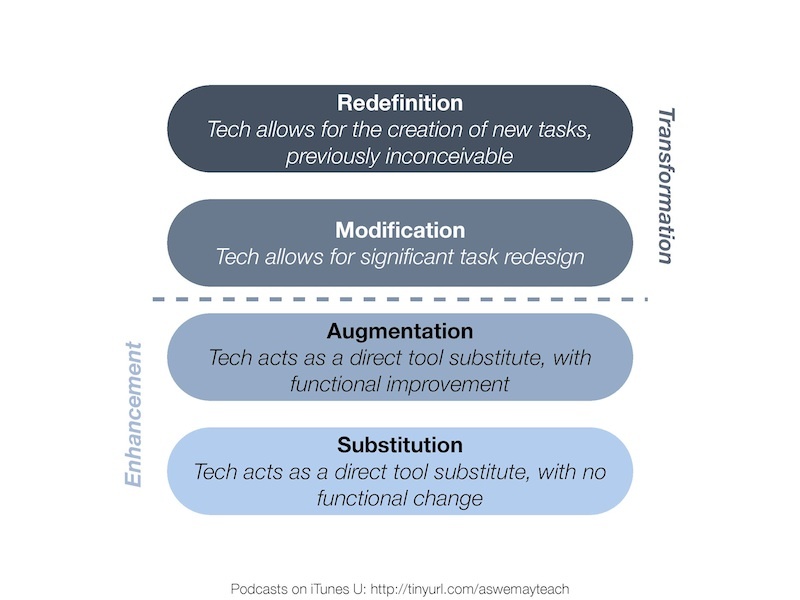 If we consider the SAMR model as a protocol for planning technology integration, Google Drive falls under Redefinition, allowing an entirely new experience that wouldn’t otherwise be possible. I can attest to the power of collaborative writing experiences. Google Drive can engage students who are too timid to speak up face-to-face in a group. It alleviates some of the responsibility for providing timely feedback from the teacher and engages students in the writing community as a class as well as the smaller communities they form in groups. Group members can collaborate remotely, from their own devices and locations, or side-by-side in a computer lab. Coming soon! My Big Campus allows you to integrate Google Drive as an application, much like it does Facebook and Twitter, which means that students can collaborate on Google Docs and more through one portal: MBC! 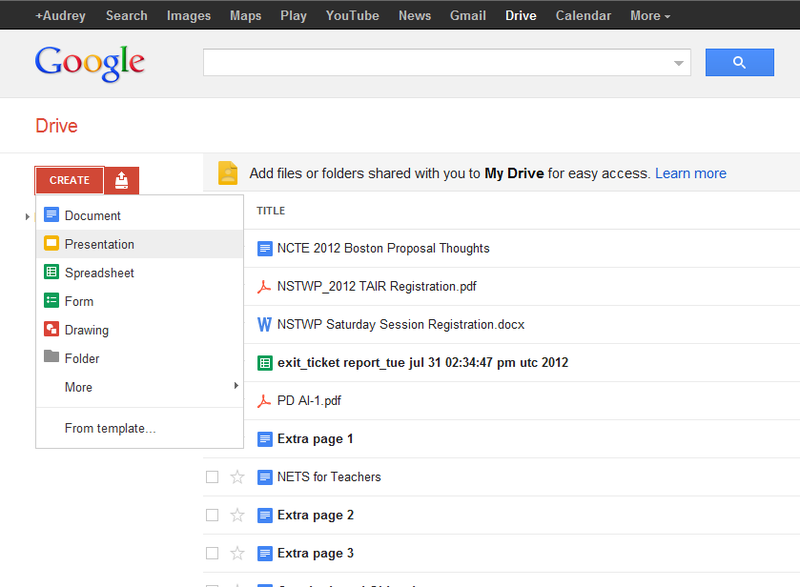 What is your personal experience with using Google Drive? Do you see any advantages for using it with students? Are there pitfalls or obstacles to integrating Google Drive into your learning activities? This entry was posted in google, tech tuesday, web 2.0. Great things are happening here at The Ridge! I’ve always believed that the leadership, innovation, and vision of individuals on this campus have the potential to make us leaders in education, especially in regards to raising student engagement and closing the achievement gap. Recently, Fossil Ridge was awarded a KISD Education Foundation Grant. The project titled, “Closing the Gap” was the collaborative brainchild of a handful of these leaders. Close the gap in access to technology that exists in our student population, allowing for equity to digital tools and resources and extending the school day to a 24/7 model. Investigate the role that technology has on learning. Inform the long-range vision for technology integration and strategic plan for our campus. I am pleased that the community and district leaders recognize the efforts and leadership capacity on our campus and am thankful for the present and future support we will receive as we work towards these goals. As discussions took place regarding deployment of our project, which involves selecting twenty AVID students to receive Dell tablets and Verizon mi-fi cards for use at home and at school, we all agreed that in order to truly understand how technology impacts learning. We needed to form a leadership team, who would engage in a PLC that explores theory, methods, and tools for educational technology. It’s not enough to simply provide students with access to technology. Even the largest 1:1 programs in schools, without a professional development plan for teachers, will not produce the impact on learning that designers anticipate. This team will visit schools in the Metroplex who have adopted some kind of technology model (1:1, BYOD, etc.) and observe how their deployment model impacts learning, what type of systems are in place to support student and teacher integration of technology, and measures that can capture the data we need to inform our vision. In addition to field trips, the team will also meet regularly to share resources, explore models, and create lessons that integrate tools. But, it all has to come back to the same point: How does technology impact student engagement and learning? This past weekend I was explaining our project to another National Writing Project teacher consultant who is an instructional leader in a neighboring district that is exploring these same questions and working to support teachers as they grapple with technology that is integrated into instruction. She suggested that we start with the SAMR model developed by Dr Rueben Puentedura. 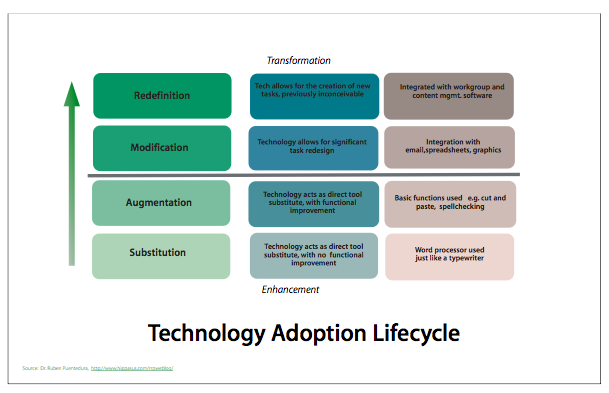 Through this model, Dr. Puentedura demonstrates how our goal when considering a long-range technology adoption cycle on any scale, from district-level down to the classroom, should be to move from enhancement to transformation. SAMR stands for substitution, augmentation, modification, and redefintion.Substitution: At this stage you are using technology as a direct substitution for another tool. Think using a word processor in lieu of a type writer without utilizing functions such as spell check, grammar check, etc. Dr. Puentedura argues that at this level, productivity actually decreases. Augmentation: If we continue with our example of the word processor, then at this next level we would use its built-in features such as Spell Checker, word count, copy and paste, etc. Productivity or work flow might increase at this level, perhaps students can produce a finished draft more quickly using a word processor, but how has the tool transformed their thinking? Notice the dotted line between the Augmentation and the next level in the model. This is meant as a target. When considering tools and tasks that integrate technology with learning, our goal should be to be above this line. Modification: Again, if we consider the word processor as a tool, how could we modify the tool to allow for greater productivity? Rather than printing the file and sharing it, what if we integrated another tool such as email or drop boxes to publish and share? Or, what if we integrated a product or feature of another tool such as a chart from Excel, digital photos of artificats, etc. At this level, Dr. Puentedura claims, student learning begins to transform. Redefinition: Here’s where my mind really starts to bend…In the redefinition level, technology allows us to do things otherwise impossible to create new products in new ways. Rather than a word processor where one student is authoring a product, what if students utilized Google Docs to collaborate in real time! This would not have been possible before. Students couldn’t work from their own houses from their own devices on a task at the same time. Now, technology allows for this level of collaboration and creation. My colleague explained it to me much more simply…instead of old things in new ways, our goal is to shoot for new things in new ways. I did some reflecting over some of the tools I’ve highlighted in the blog that meet this goal. Below you’ll find a list of tools and links to those blog posts that help us reach the Enhancement level of learning through technology. I’m curious to hear your take-away after thinking about this model and how it applies to your decision making and lesson planning process. Limitations, drawbacks, confusions, applications? Leave your comment! This entry was posted in blended learning, byod, flipped, tech tuesday, web 2.0.